got my spit out for its maiden ...it has sat on the wall for two years ,while i got some flying experience !! it was one of my first ever builds using uk foamboard ,so was a little on the heavy side . set the cg as per the build vid ,but find it needs more nose weight and a little aileron trim to compensate for torque roll as seen in my vid over on youtube....since trimmed her out a little but still needs nose weight ...also need to get more props every landing eats one lol . might try a folding prop !!! I like the red and white, should make it easier to see. Looked like you need to give it more throttle on launch, I usually use at least 75% to get mine up. Little something I noticed in the vid was David using a cheap utility blade while Josh has usually been using #11's. Even heard Josh comment on the cost savings and how much longer the utilities stay sharp cutting foam. But I've had a hard time doing the little alignment notches with utility blades so I dug the old xacto out today to cut some parts of my spitfire. And man, I'm suddenly hooked on the #11's again. Staying sharp way longer than the utilities I've been using and even when a little dull cutting nicer than a fresh utility. Still like the utility blades for score cuts since I can set it to it's lowest setting and drag it along my ruler to just cut the paper. And still like them for big rough cuts. But I actually enjoyed cutting my bevels with the #11 today instead of it feeling like a chore. I swear my utility blades seemed sharper out of the package a few weeks ago...today even a fresh one I can't seem to get a clean cut. Oh well. 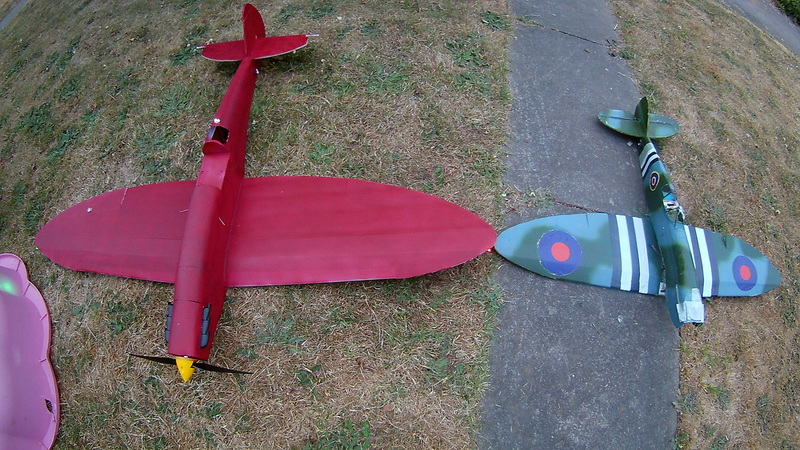 Just had to share a little Got to go finish cutting out my fuselage and then warm up the glue gun! You might be on to something. 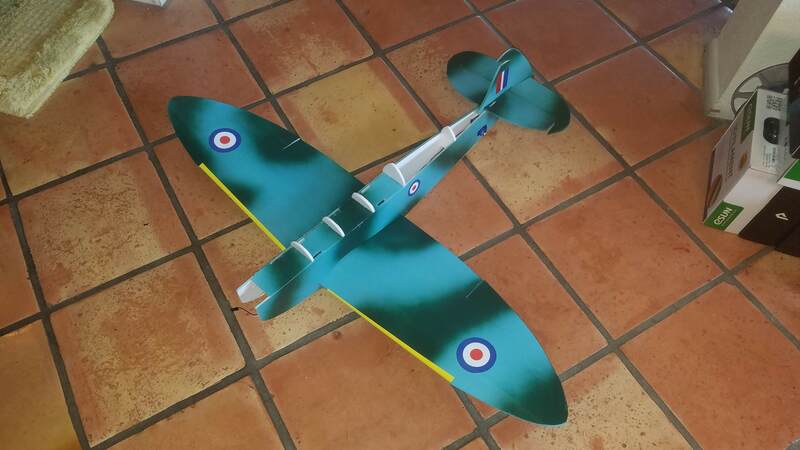 My little sister and I built a Mini Speedster while I was visiting my parents and we were using an X-acto knife with #11 blades and it wouldn't cut nice at all! I had to 50% score cut all the black lines and then go through and finish cutting. 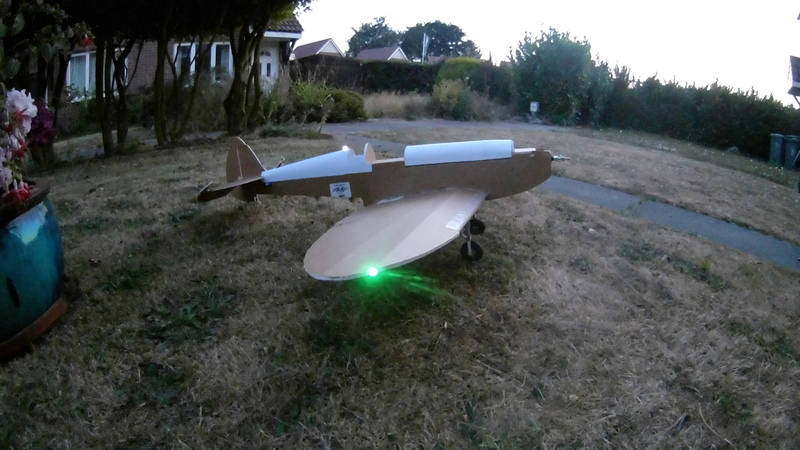 So is there a v2 of this kit/ plan coming out, would love to build this as it’s a dream plane of mine, but would rather wait for a v2 if it’s coming. I've been waiting for six months, my guess is that Bixler is busy with a handful of other things right now. 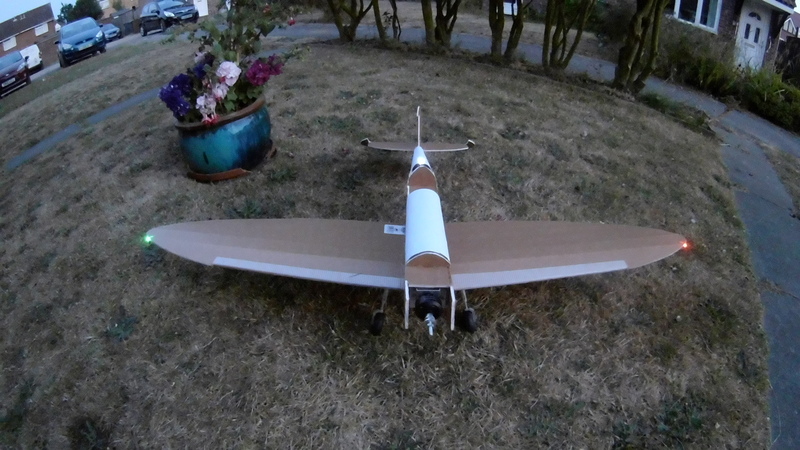 I've just finished my 3rd one, This time i scaled it up to 1200mm wingspan, I got rid of the square tail and used card for the bottom like is done with the top. It had its maiden the other night before painting, it flew great no trimming needed, having it slightly bigger made it feel more stable. 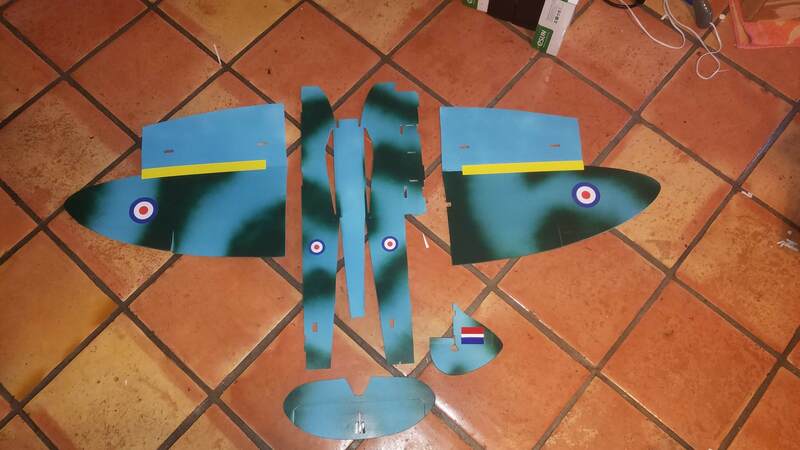 I scaled this one up to 125% giving me a wingspan of 1350mm, I'm going to add the landing gear from the mk2 i made as it seems more of a scale fit and was far too heavy for the smaller wing. hopefully be ready for its maiden by the weekend. 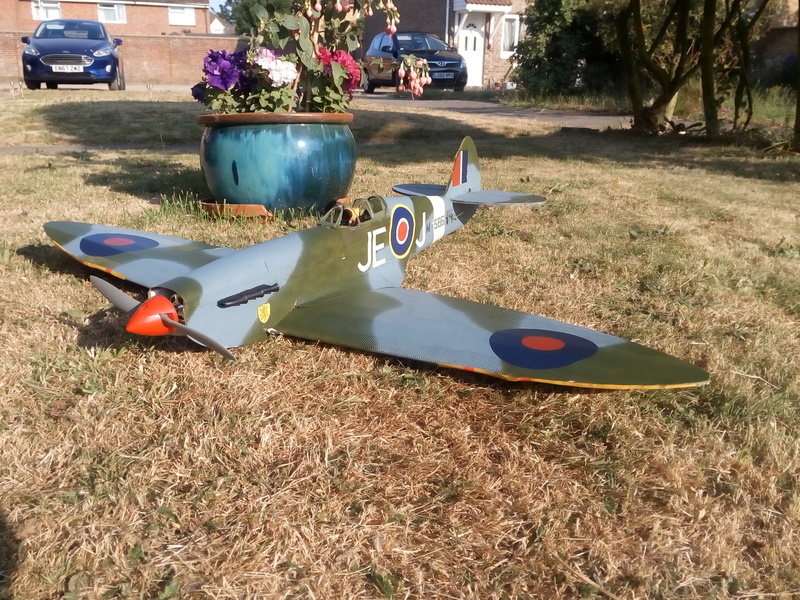 I'm almost done with this build, just need to make the nose and underneath of the tail, hook up control surfaces, bit of tweaking on the landing gear and make a canopy, then paint. its weighing in at 1057g so far with all electronics and battery, i estimate about 1200g final weight which is what i was aiming for. I have another one of these builds just getting started. A spit was my first FT plane in 2017, and I wrecked it pretty quick. I wanted a shot at redemption, and I love seeing these planes with the camo paint and scale details. Great builds, guys! Almost done now, just control surfaces to hook up and make a canopy which i will do tomorrow. weather is looking good for tomorrow evening so will hopefully maiden it then. 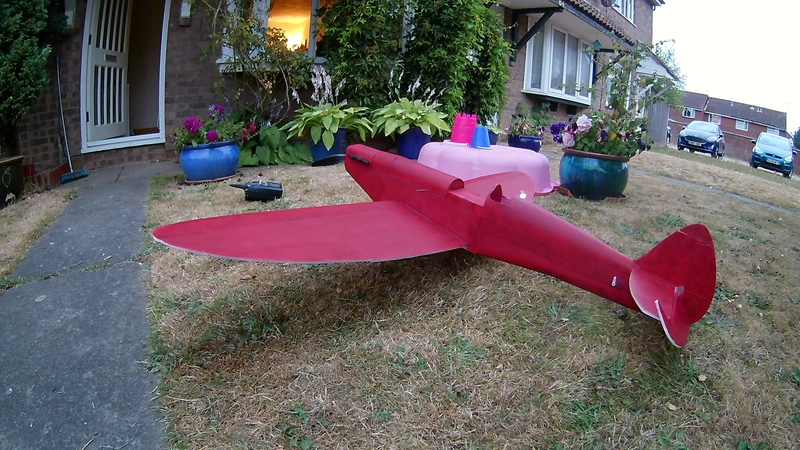 Finnished the MK4, flying weight was 1199g so had 1g to spare from my target. It had its maiden on Sunday, plane came back in one piece, but had a few problems, first off i'm not sure the motor is working properly, seems to be not very linear, its from a trainstar tough trainer, and has always felt a bit on/off, ive calibrated it with various esc's and is the same every time and feels worse now after it was up a tree so i have a replacement to go on now. Connected the rudder and lowered the throws and flew much better. What happened to the gear? They were on at :21, and off by :27. Congrats on a mostly successful maiden! My maiden success criteria is calculated by an inverse proportionality to grams of glue required post flight. started working on it yesterday from scratch. painted and added some of the decals today. i was guessing on size so they are not quite to scale but good enough for me. gonna make it a belly lander because i hate adding weight to an airplane. i am also using a new motor i have never tried so i want to keep it light just incase they are lying about the thrust numbers. using a SunnySky 2216-8, 1250kv, 10x4.5 prop, 40a esc, and start with a 3S lipo. with the bigger esc i think i will easily be able to go to 4S and a smaller prop but if what they say is correct, the motor should put out 1520g of thrust on 3S. 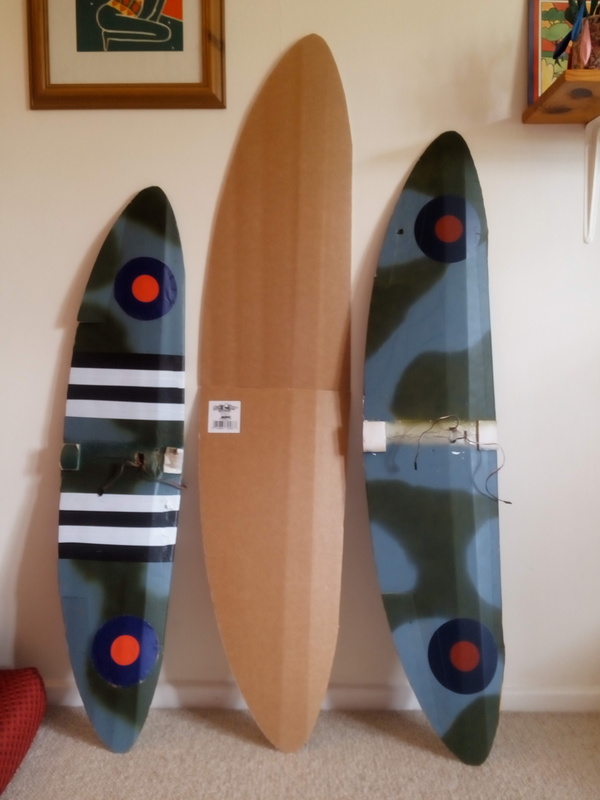 can't wait for saturday, i have been wanting a spitfire for a long time. hoped to get more done today but ran into a few issues. i think from now on i will be printing @ full size. seems no matter how careful you are at tiling the plans, something always is a little off. plus, these are OLD plans, some of the very first FT made and you can tell when compared to more recent additions. it is an easy build, but just a little goofy. my issue this time was the fuselage. in the plans it is very difficult to tell where one side ends due to the fact it falls directly on a split between 2 pieces. 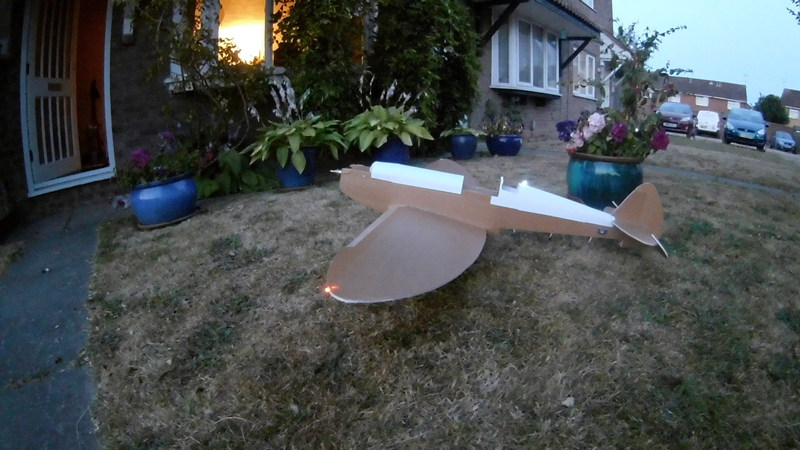 this led me to make one side just a little bit taller than the other, which in turn threw off my wing. i was able to get it pretty close but am hoping that when i make the wing "removable" that i will be able to make up for the rest. i am going to be really bummed if i put in all this work and the plane flies like garbage. i'm done building for the day, dealing with too much other nonsense about work. if you want the god's honest truth, don't EVER become a teacher. i have spent 20yrs working with the most challenging, most disturbed, most emotionally disabled students on this earth and i am VERY good at what i do. in thanks though, i am the one who gets sacrificed by the district. oh well, hopefully my sacrifice will force some change. if not i am very worried for these kids and anyone crazy enough to be talked into taking my position.